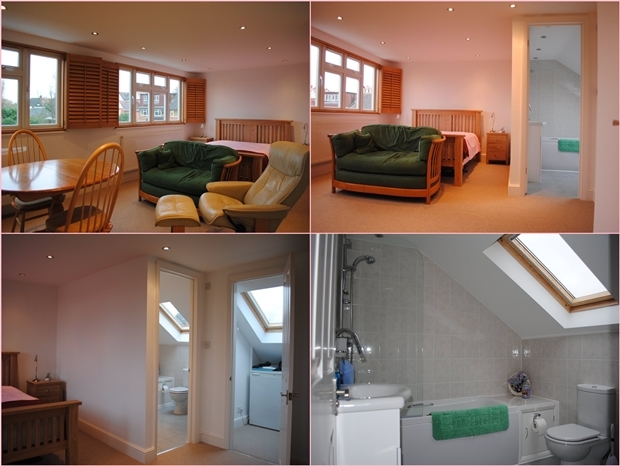 A beautiful Loft Conversion of a Palmers Green (a London suburb) home into a spare bedroom by Bespoke Lofts – an Essex based family run company. City centre living can often come with a troublesome trade-off. All the advantages of living in a bustling metropolitan area can unfortunately be countered by the cramped living conditions in the most desirable locations. 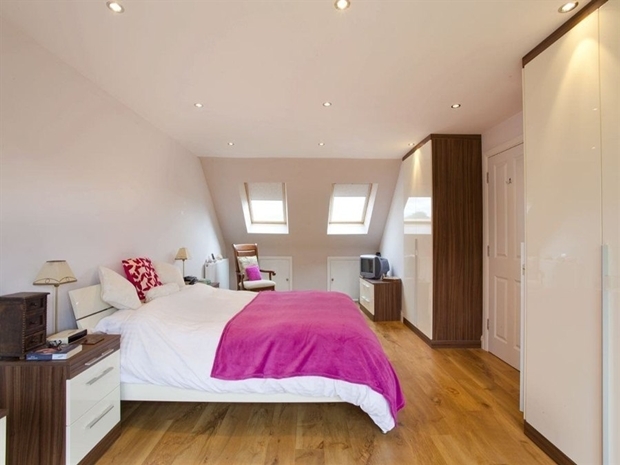 Premium property areas such as London are notorious for this, making loft conversions more and more desirable. After all, who wouldn’t want extra space in their home? Perhaps the kids are getting to the age where they would prefer their own rooms, or maybe there is another bundle of joy on the way. Whatever the reason, spare bedrooms not only increase the size of your home, they also increase the financial value and desirability on the market – should you ever decide to eventually sell. A whole host of options are available for those who wish to add an extra bedroom, with additional bathrooms also being another extremely popular option. There are few worse situations than a large family all having to queue up to use the bathroom in the morning! With another family bathroom, that everyday crisis could be avoided … especially if mum and dad had their own en suite! But the extra bedroom need not just be for children’s use. Perhaps you have decided that your bedroom is a bit on the small side and would like a bit more space to relax it. Master bedrooms (complete with en suite bathrooms) are an extremely desirable addition to any home. Whatever you decide to use the new bedroom for, there will be extra sleeping facilities now available, which would be perfect for those who have friends or family over to stay. Although with such a nice new room you might find them inviting themselves over! 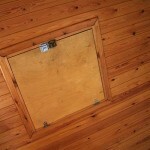 Attics and lofts tend to be quiet, meaning they are the perfect location to set up a home office. Maybe there is an amount of work leftover from the day at the office which must be finished without distraction, or maybe you’re self-employed. 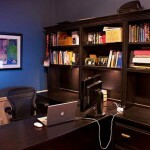 If so, then a home office represents the ideal working location for all your working needs. 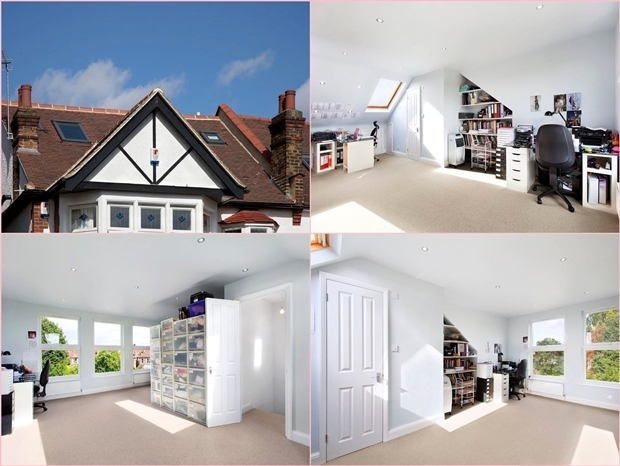 Above: At top left, you can see the outside of a Loft of a home in Wanstead, Greater London and in the other images, the loft conversion to a bright home office is shown – what a useful transition! Many people are deciding that working from home is the way to go; after all, who wouldn’t love having access to all of their home comforts no matter the time of day or night? By creating an office space in a loft conversion, you can personalize your office to your exact specifications, building your working environment from the very ground up. The living area is where the majority of us spend our relaxation time. By creating an open plan lounge, you can provide more luxurious space for your possessions, family and guests, not to mention the room which was previously the living area can now be used for something else! Large living spaces are one of the most desirable amenities when it comes to choosing a home and can dramatically increase the property value. 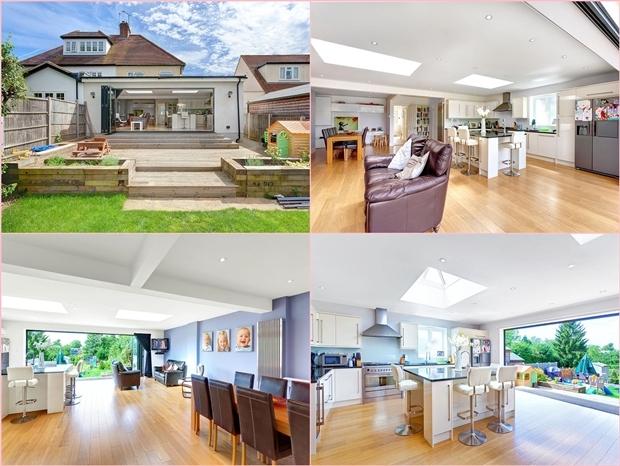 Look at how much luxurious space has been managed in this home in Bury Road Epping, UK by creating an open plan lounge. We all need to unwind after a working day and the nicer the room in which you can spend your evening, the more pleasant an experience you will have. As families grow larger, the need for greater space becomes increasingly apparent. What better way to spend time with your family than in a shared communal area which every member can enjoy? Getting across the city to your place of practice can be a nightmare. Whatever your hobby may be – be it dancing, working out at the gym, music or anything else, setting up your own personal rehearsal space could prove to be key. The ease of access which having your own rehearsal space in your own home could provide really is invaluable. Perhaps you want to create your own band room, complete with soundproofing – a loft conversion would be the obvious answer, allowing band mates to relax at home whilst saving on travel time and the often extortionate hourly rates which rehearsal rooms can charge. 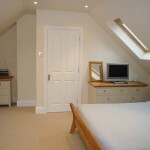 There are numerous advantages to commissioning a loft conversion in London. Work out what you could use that space for and begin building yourself up from the ground, literally. All images used in this article: © Bespoke Lofts of UK. 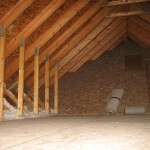 So You Want To Convert Your Attic? How about your opinion to install conservatory blinds of Epping on window panes? Surely, you would like to alter the ambiance of shelter by such unique materials, right! 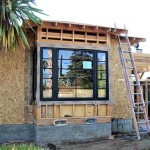 To make this objective come true, you should contact the experts.